With a New Year upon us, you’ve likely decided to make some resolutions in your life. Perhaps you want to eat better or get fit. Maybe you’ve decided to actively be kinder, or spend more time doing charitable work. Today we examine some tips, tricks, and hacks to help you get organized in the New Year. These days, a reliable, comfortable car is more of a necessity than ever before. Whether you use it for business to travel or driving your family to soccer matches, school plays, and other extracurricular activities, an organized vehicle is necessary. According to AAA, Americans spend almost 300 hours behind the wheel each year! So, what can you do to make it a better experience? We all have essentials that never leave our vehicle. It might be an ice scraper, tire pressure gauge, or another specialized tool. Maybe it’s essentials to keep little ones comfortable, like a special toy or blanket. Whatever, they may, we suggest giving them a home. With a dedicated space, you provide a place to return them to after trips, and you’ll always know where to find them. 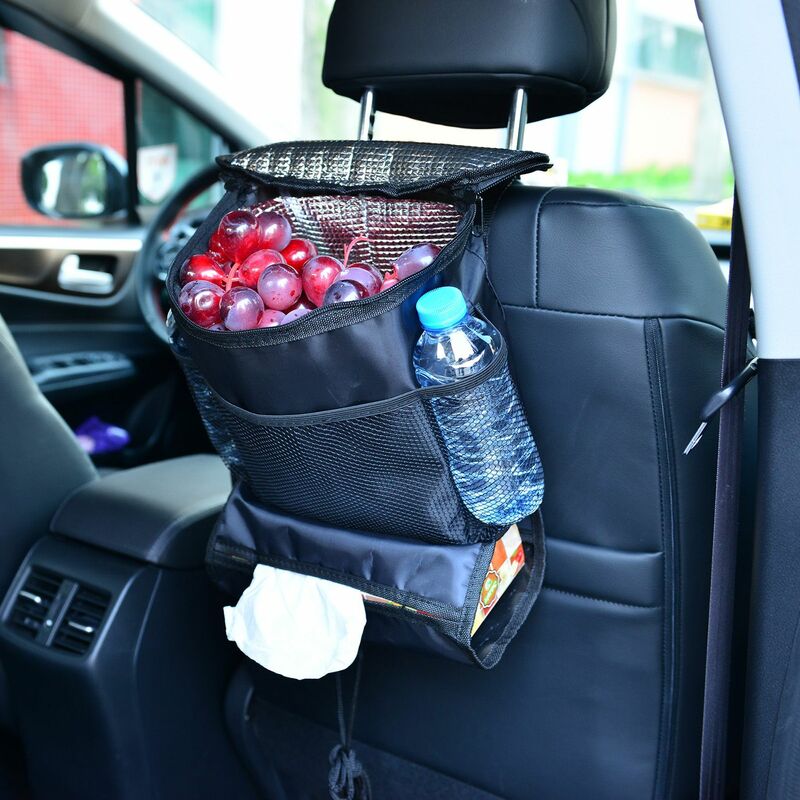 Our car organizers offer a convenient travel solution, perfect for everyday use. Available in blue, red, and basic black, they collapse for storage and expand for use. Constructed from hard-wearing nylon, an insulated layer lets it double as a cooler, keeping snacks and drinks cool for long trips. If you’re like us, you likely stuff “important” things in there, only to see them come spilling out whenever you’re looking for a car manual, registration information or other essential info. Our advice is simple: cut down the clutter! Bind your manual, registration information, insurance card, and other information together into a bundle by placing them in a folder or container. 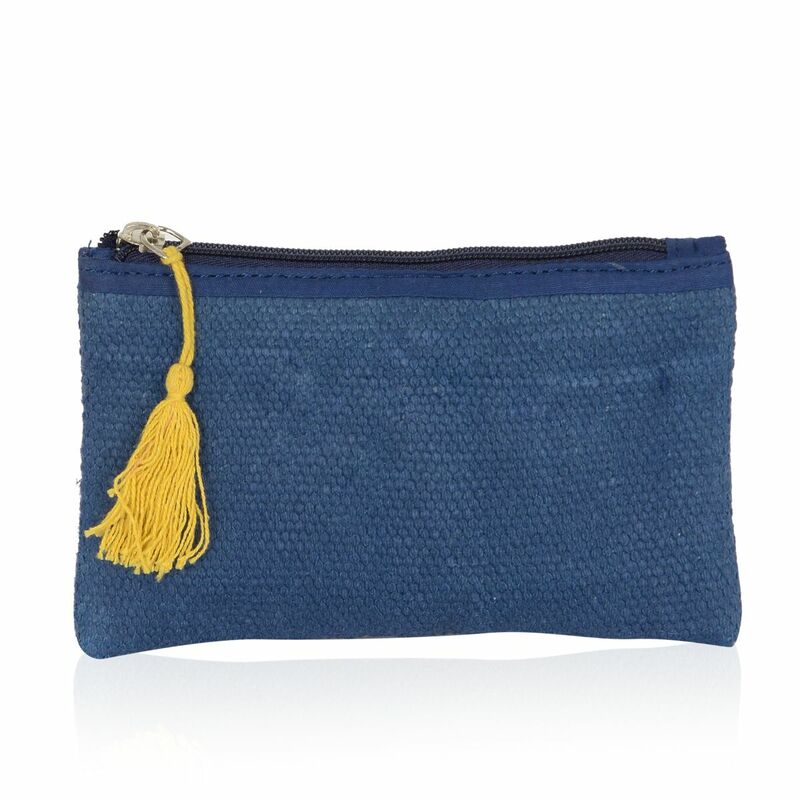 If you have a collection of cosmetic bags, many are the perfect size to stuff inside for easy access. This will make it simple to retrieve while keeping everything together, so nothing is lost. Keep an empty tissue box in your vehicle. It can be used to store plastic grocery bags, so you always have a receptacle for trash, wet clothes or dirty shoes! With the holidays finally over, you might be ready to store all of the wonderful gifts you received. Or perhaps your kids need a new place to keep their favorite toys, old and new. Maybe you’re just tired of the clutter you’ve been neglecting all year if you’re like us! Whatever the case, consider some of these excellent tips. Perfect for students, anyone in a tiny space, or those who simply prefer to minimize visible clutter, there are many options out there for “hidden” storage solutions that are in plain sight! 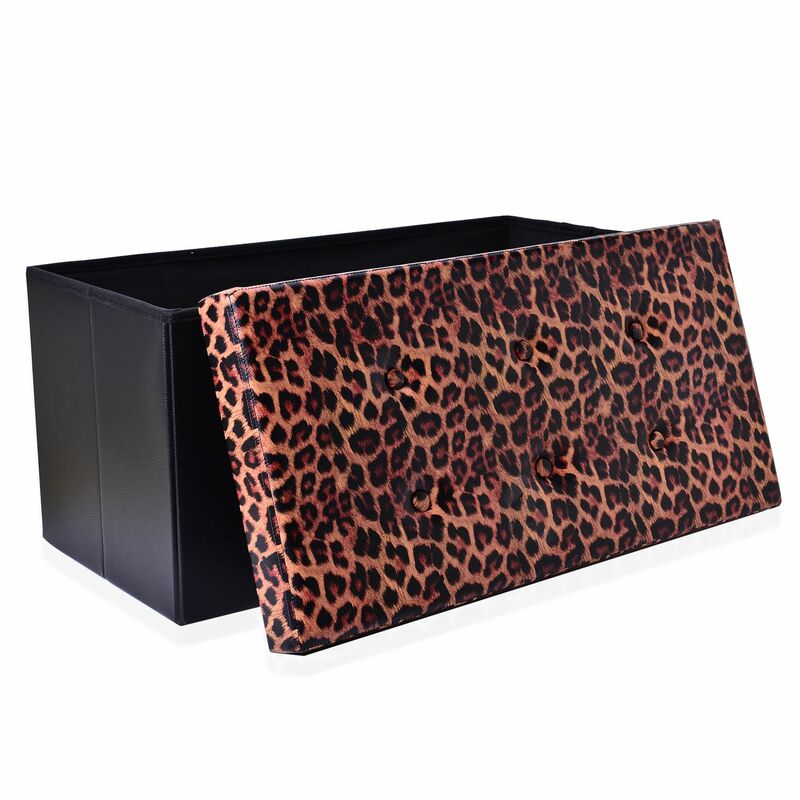 SHOP LC offers collapsible benches and ottomans, available in a fun array of colors and designs. Each is sturdily constructed, and able to double as extra seating whenever needed. Not only that, but if they need to be put away, the collapse flat to conveniently slide under a bed or stick in a closet. Odds are you have a special drawer in your kitchen where spare batteries, rubber bands, and other random things congregate. Instead of letting them roll around and mix, separate like items together and makes things easy to find. While you’re at it, why not throw out those ketchup packets? There’s a bottle in the fridge! Reusable bags are one budget friendly option here. Alternately, small, stackable containers are another choice. A set of containers such as these makes for a quick and easy way to keep your spare things organized. 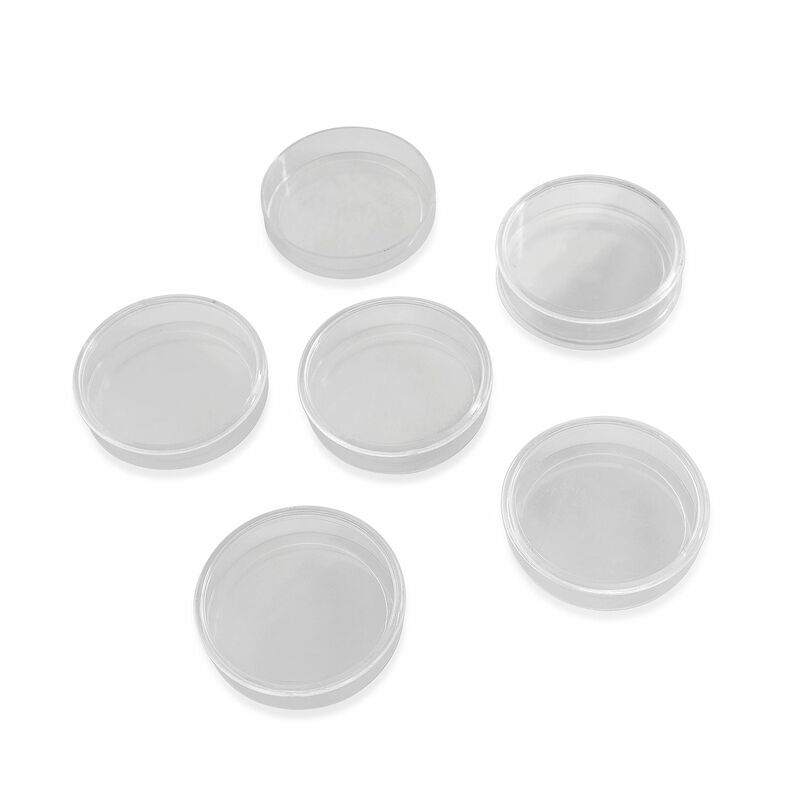 And with clear plastic construction, there’s no need to open them up to find what you need! Whatever you choose, take control of the clutter in your junk drawer. Do you have a stack of owner’s manuals stacked in the back of your closet, taking up space? Or perhaps they’re gathering dust in the garage, in a box. Likely, there’s no rhyme or reason with how they’re collected and organized. It’s initially an investment of time, but our suggestion is to digitize your collection. Gather the manuals or paperwork you need to organize and get to your scanner. Just scan all of the documents to your computer. Name the files by the product name and type, so that it’s easy to reference. From there, you can store them locally on your hard drive, burn them to a CD, or put them in the cloud. You’ll now have a convenient way to reference these documents whenever needed. Records that should be retained can be placed in storage. Everything else can be recycled! Want more options to get organized? Explore SHOP LC home solutions! Do you feel that a New Year calls for a new you? Then be sure to enter the New Year, New You giveaway for your very own chance to receive a paid spa-experience. It’s the perfect way to make 2019 the best year yet! Submit your entry from January 6th through 12th, 2019 for your chance to win!